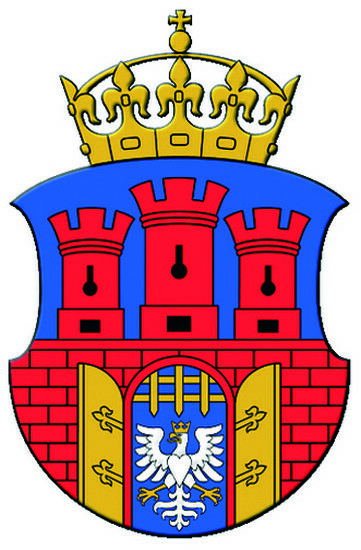 The Krakow Coat of Arms. 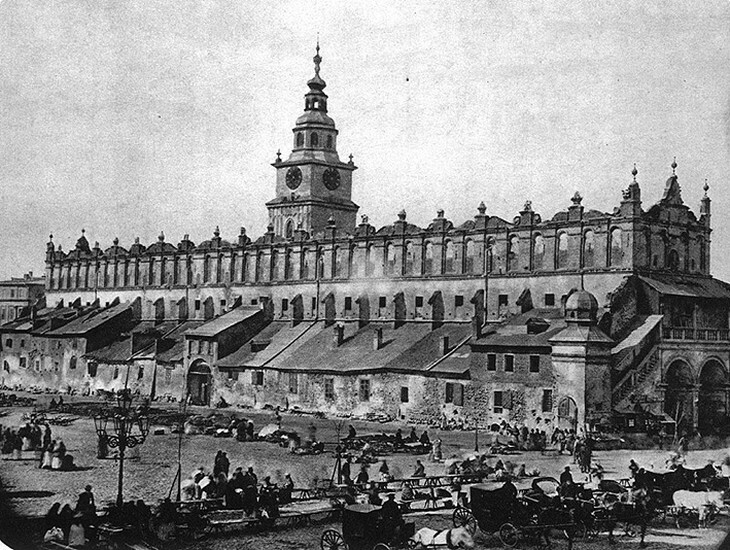 Krak&#243;w&#39;s market square and Cloth Hall circa 1890. 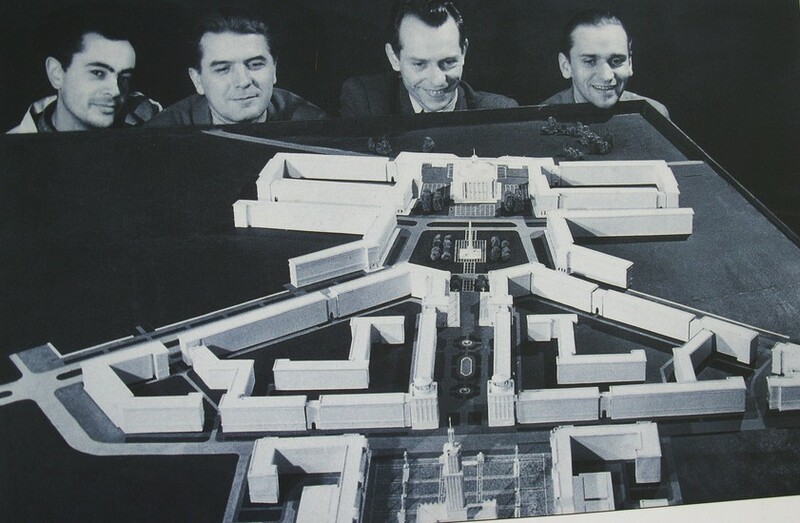 Scale model of the original design for Nowa Huta, with its architects. One of the oldest cities in Poland, archaeological evidence proves that there were settlements in the Kraków area as early as the Palaeolithic period, with stone tools found on Wawel Hill dating back – way, way back – to 50,000BC. 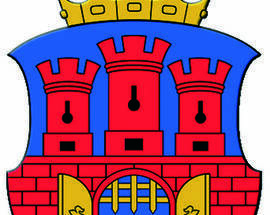 Legend attributes the city’s founding to Krakus, the mythical ruler who vanquished the Wawel Dragon. 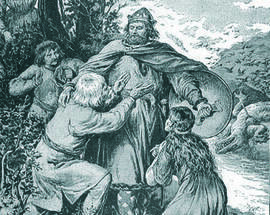 The mysterious earthwork Mounds named after Krakus and his daughter Wanda, located in the Podgórze and Nowa Huta districts respectively, were probably built in the 7th century. However, historians date the settlement of Kraków’s Old Town slightly later in the 8th century, crediting it to a tribe of pagan Slavs known as the ‘Vistulans.’ By 966, the date of the first written record of the city’s name, Kraków had already grown into a busy commercial centre, thanks in part to the amber trade. 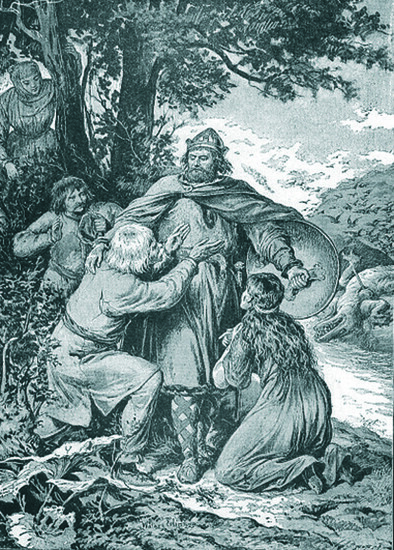 In the late 9th century the region was ruled by the Moravians, passing shortly thereafter to Bohemian rule before being incorporated into the principality of the Piast dynasty in the 990s, thus creating the Kingdom of Poland. 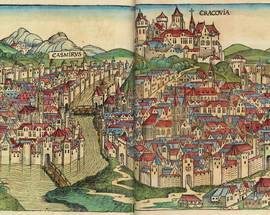 The city developed rapidly, acquiring its own bishopric in 1000, and in 1038 Kraków became the capital of Poland, with Wawel Royal Castle becoming the residence of Polish kings. The 13th century was marked by incessant Mongol invasions, the first occurring in 1241 when the city was almost entirely destroyed, but it was dutifully rebuilt in time to be ravaged again in 1259 and 1287. Following this last embarrassment, the city was surrounded by 3 kilometres of defensive walls, towers and gates which would be modernised over the next few centuries. 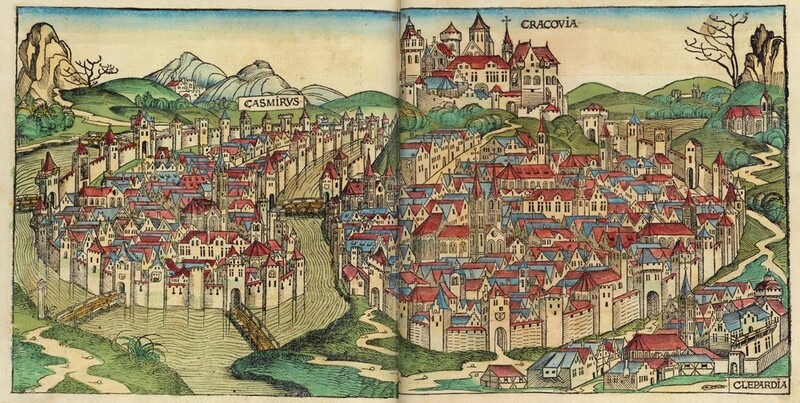 Kraków particularly flourished under the rule of Kazimierz the Great (1333-1370), who expanded Wawel Castle and established two new cities – Kleparz and Kazimierz – which were closely connected with and would later be incorporated into Kraków. A huge patron of the arts and sciences, in 1364 he founded the Kraków Academy, now known as Jagiellonian University – one of the oldest institutions of higher learning in Europe. Prosperity continued during the joint Polish-Lithuanian Jagiello dynasty (1386-1572) as Kraków experienced its ‘golden age.’ Talented artists, humanists and scientists arrived from Renaissance Italy and Germany to create impressive new buildings, sculptures, frescos and other artworks, and Wawel Castle was turned into a pearl of Renaissance architecture. However, after several centuries of roaring times the city’s fortunes began to turn with the death of King Zygmunt II in 1572, who left no heir. With the throne passing to the Swedish House of Vasa, Kraków’s importance began to decline, resulting in Sigismund III’s decision to move the Polish capital to Warsaw in 1596; however Kraków maintained its role as the official site of royal coronations and burials. The 17th century was marked by the pillaging of the Swedish Invasion (1655) and a bout with the 'Black Death' that claimed 20,000 residents. In the late 18th century, Poland passed the world’s second democratic constitution (after the US) on May 3, 1791, however only days later the country’s more militarised and expansionist-minded neighbours Russia, Prussia and Austria invaded and imposed the First Partition of Poland (1772-73) on the weakened country; a second partition transpired twenty years later. 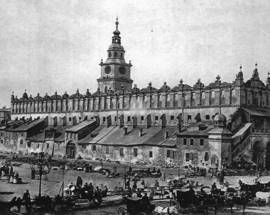 Kraków developed a reputation as a bastion of rebellion against foreign invaders and in 1794, Polish freedom-fighter Tadeusz Kościuszko initiated his famous Insurrection on Kraków’s market square; it eventually failed and the Prussians soon stepped into the city to loot the entire royal treasury. Poland was partitioned a third time (1795) and Kraków became part of the Austrian province of Galicia. Thanks to Napoleon, the city flirted with various forms of semi-independence from 1809 to 1846 before being absorbed back into Austria. Under Austrian occupation Kraków’s fortified city walls were levelled – with the notable exceptions of the section around the Floriańska Gate and the Barbican – and the Planty park was created where they once stood. Austrian rule was more lenient than that imposed in the Russian and Prussian-ruled partitions and as a result Kraków became a centre of Polish nationalism, culture and art during the pre-war ‘fin de siecle’ era. 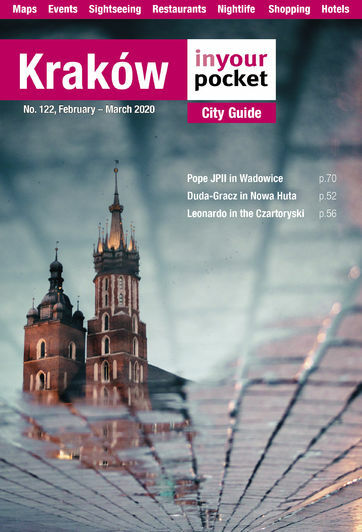 The city was also modernised during this time with running water, electricity and the first electric streetcars (1901) all being installed ahead of Warsaw in the first decade of the 20th century. 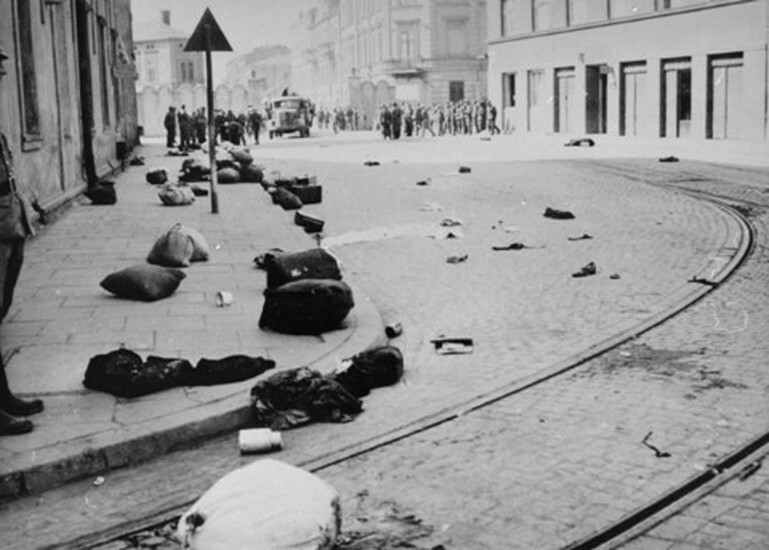 When the First World War broke out, Kraków was besieged by Russian troops forcing many residents to flee the city. Kraków became the first Polish city liberated from Austrian rule on October 31st, 1918 when a planned revolt against the Austrian garrison in Podgórze freed the city in advance of the war’s end. The Treaty of Versailles would establish the first sovereign Polish state in over a century, however twenty years later in September 1939, Nazi German forces entered Kraków, setting up command of their ‘General Government’ (the Nazi term for the occupied Polish lands slated to be purified and incorporated into the Rhineland) in Wawel Castle. Over 150 professors from Jagiellonian University were rounded up and shipped to concentration camps in what is known as ‘Sonderaktion Krakau.’ The Jewish population was ejected from Kazimierz into a ghetto in the Podgórze district, with the Liban and Płaszów work and concentration camps close by. 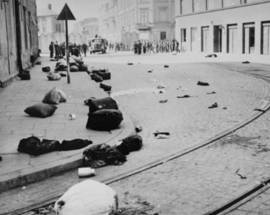 The Jewish ghetto, whose population fluctuated between 15,000 and 18,000, was liquidated in 1943 with its occupants shot where they stood, sent to work in Płaszów or sent to their deaths in nearby Auschwitz. Kraków was liberated on January 18th 1945, with the architectural fabric of the city miraculously coming through the Soviet offensive almost completely intact. 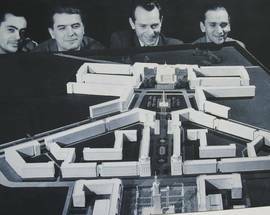 Following WWII, the dubious process of ‘Sovietisation’ began, and the district of Nowa Huta was built around the country’s largest steel mill in the late 1940s in an attempt to weaken Kraków’s intellectual and artistic heritage through industrialisation. Almost forty-five years of communism followed, including a year and a half of martial law, before the Solidarity independent trade union gathered enough momentum to force free elections in 1989 in which Lech Wałęsa became the first post-communist president of Poland. In 1978 Kraków’s Old Town and Kazimierz districts were placed on the first UNESCO World Heritage List and in the same year Kraków’s archbishop Karol Wojtyła became the first non-Italian pope in 455 years. Because of its preservation, today Kraków is arguably Poland’s most important historical and cultural artefact. In 2017 the city was visited by over 13 million tourists - a new record.